Ready or not, Opening Day is a scant fourteen days away. 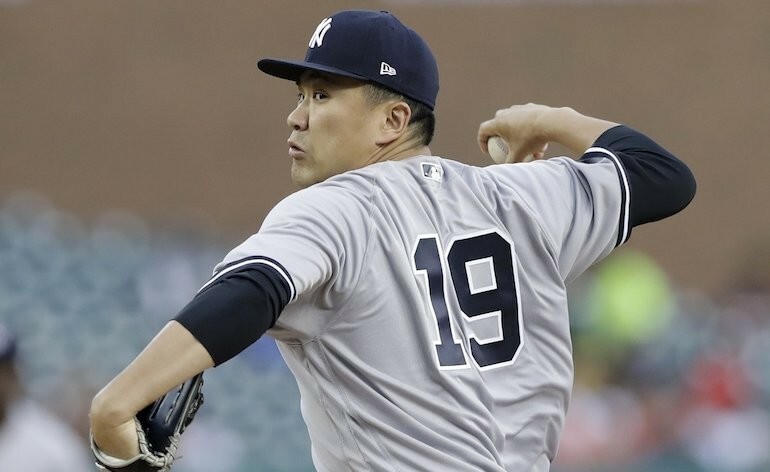 On Thursday, March 28th, at 1:05 pm EDT, Masahiro Tanaka will fire the first official 2019 pitch at Yankee Stadium against the Baltimore Orioles and we’ll be off to the races for 162 games PLUS (heavy emphasis on the ‘plus’). The Orioles have announced RHP Alex Cobb will get the Opening Day nod over Dylan Bundy and Andrew Cashner. Cobb signed with Baltimore as a free agent in late March last year and it showed with disastrous April results. He lost his first three starts with 13.11 ERA and 2.83 WHIP. A 6.03 K/9 pitcher for the year, he was unable to strike anyone out in two of those first three games. With the benefit of a full training camp, Cobb should be more prepared for his second season in Birdland. Steamer projects a 9-13 record in 31 starts with 4.89 ERA (4.50 xFIP) and 1.6 fWAR. Hopefully we won’t have to wait long to hear Michael Kay’s first “There it goes! See ya!” of the new season. I don’t think any of the Orioles pitchers strike fear in the hearts of the Yankees, and it should be a good opportunity to get the season started on the right foot. It was reported this week the MLB Players Association and MLB have agreed upon the elimination of the waiver trading deadline in August which makes the July non-waivers deadline a hard date for player trades. This year’s trading deadline is Wednesday, July 31st. In theory, it should spark more trade activity in July than in years past and will force teams to make earlier decisions about whether they are buyers and sellers. I am probably most concerned about potential injuries in August and the need to fill unplanned vacancies from within the organization. Depth at certain positions can be weak so it will force organizations to work harder to cover depth at all positions in the off-season which I suppose is an intended consequence. The change is effective this year. Another change is the expansion of roster size from 25 to 26 players in 2020 with a maximum of 13 pitchers. On September 1st of 2020, the expansion of rosters will be reduced from 40 to 28 players and no more than 14 pitchers. At face value, I am glad to see the addition of a bench spot for another position player. The transition of the game to deeper bullpens has left bench roles perilously thin. Hopefully the addition of a player will help keep guys fresher for the long season. While the change is not effective this year, the potential 26th men at the present time are Clint Frazier and the expected loser of the first base competition, Greg Bird. The new MLB-MLBPA deal is expected to be announced today. Per ESPN’s Jeff Passan, other changes include the three-batter minimum for pitchers although a start of a new inning would allow a pitching substitution. I think back a couple of years and wonder what it would have been like if the Yankees had been forced to use Tyler Clippard for at least three consecutive batters on days when he simply didn’t have it. 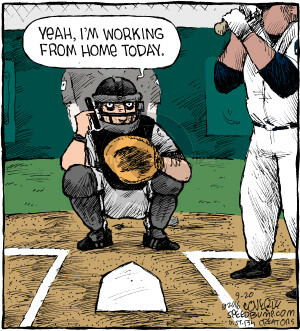 I can see a pitcher coming into a game with an inability to throw strikes and suddenly the bases are loaded…or worse. I get the pace of play implications but I guess the traditionalist in me would like to see the game decisions in the hands of the managers. Silly me. There’s also a new $1 million bonus for the winner of the All-Star Home Run Derby. Makes me wonder if it will influence a lower paid guy like Aaron Judge to participate. 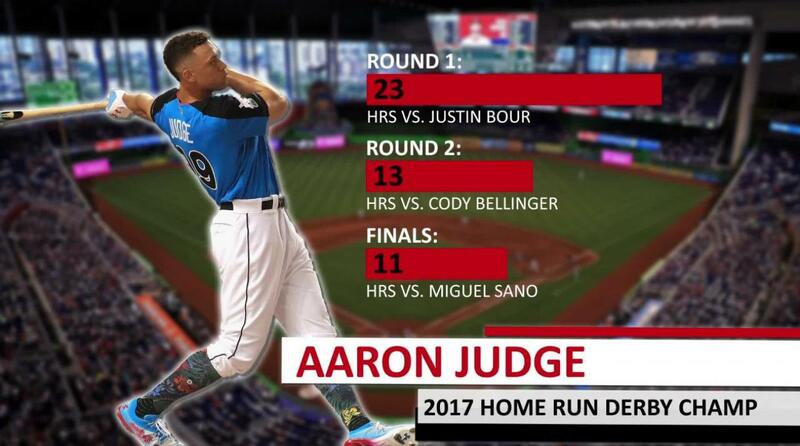 I know Judge makes most of his money through endorsements right now but I am sure that a way to pick up an extra mil is enticing for some. It was a bummer that last night’s Spring Training game against the Philadelphia Phillies was not televised. Although the game ended in a 5-5 tie, it was Bryce Harper’s first Phillies start against the Yankees. If for no other reason, I am looking forward to the regular season so that every game is televised. Harper was booed unmercifully by the Yankee fans at Steinbrenner Field or so they say since I didn’t actually see it. I don’t really get it. It’s not Bryce’s fault that he is not a Yankee. The Yankees chose not to pursue him in free agency despite the wishes of the fans. Bryce is on record saying the Yankees never reached out to him despite his childhood love for the Pinstripes. If Bryce historically crushed Yankee pitching, then maybe that’s a reason to boo him but he has been largely ineffective in his short body of work facing the Yankees. I would have liked for the Yankees to sign Harper but they didn’t and we must move on. I know I am very excited to see what Year 2 brings for Giancarlo Stanton. Regardless of whether you preferred Harper over Stanton, I think Stanton is going to be more relaxed this year and will more closely resemble the player that dominated baseball in 2017 for the Miami Marlins. Back to the first base competition, I thought it was funny when it was reported yesterday that Aaron Boone was wearing a Luke Voit t-shirt in the clubhouse. Boone also commented that Voit batting cleanup (as he did last night) could carry into the season, adding that he could see Voit anywhere from third to sixth in the order. 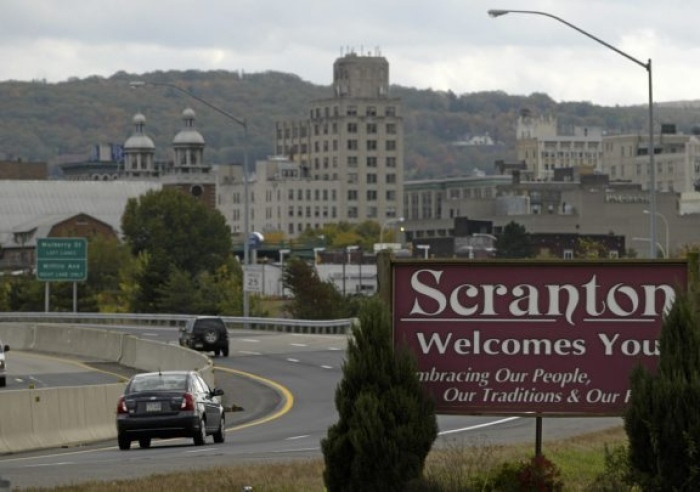 In other words, it is Greg Bird and not Voit who should be making living accommodations in the Scranton/Wilkes-Barre area. Jose Canseco, shut up! Your fifteen minutes of fame came and went. Let it go, Cheater. Alex Rodriguez owes you nothing. For those of you who are New York Jets fans, my apologies for the Anthony Barr situation but I am glad it worked out the way it did. Granted, Barr, a linebacker, is not a superstar level player but I like his role in Minnesota’s defense. I’ve been a lifelong Vikings fan. I think Barr is capable of so much more and I hope the Vikings use Barr as an edge rusher like the Jets intended to do. 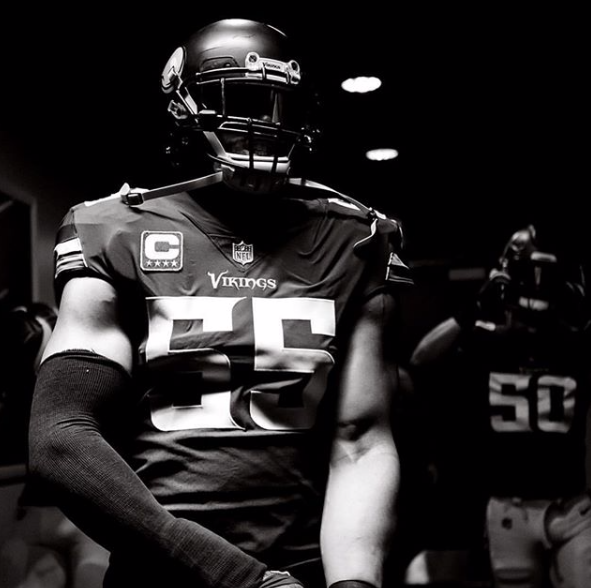 For those of you not following, Barr had agreed to a free agent deal with the Jets on Monday, only to renege the next morning and subsequently sign an extension to stay in Minneapolis. 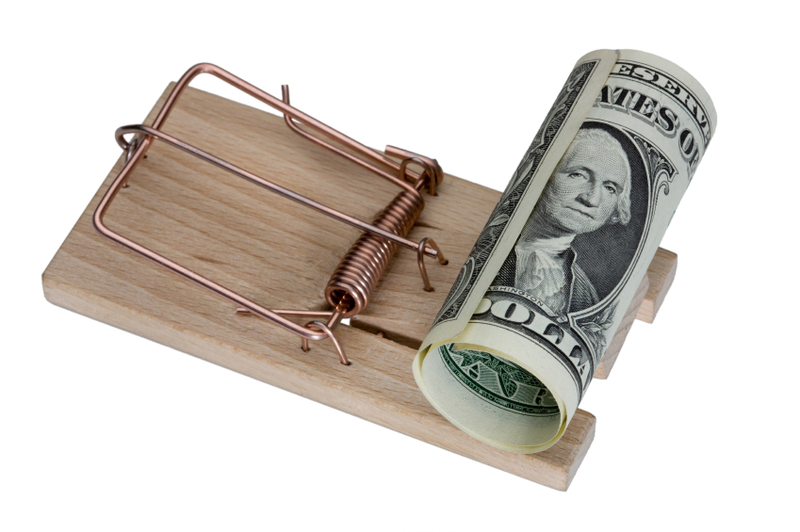 I had been dreading NFL free agency, fearful of losing Barr. The Vikings had done a good job of signing their young core players despite the massive overpay for QB Kirk Cousins, but Barr had remained unsigned. With salary cap implications, it appeared Barr would be wearing a different uniform this Fall. For a few hours earlier this week, the Jets fans thought he’d be wearing hunter green and white. For all of Minnesota’s free agents, Barr was the one I wanted to keep. Jets fans were unhappy about his change of heart but I was truly grateful. It kind of reminded me of the time David Wells had a change of heart after agreeing to a two-year deal with the Arizona Diamondbacks and signed with the Yankees on a napkin. There may not have been a napkin involved with Barr but the impact is the same. Glad he’s on my team. With my apologies to those of you who are Jets fans, I am glad that QB Kirk Cousins signed with the Minnesota Vikings. Of course, I say that as a lifelong (long suffering?) Vikings fan. Perhaps Minnesota overpaid for a QB with a losing record, but I like Cousins as the team’s new field general. I have greater faith in him than I did the three Vikings quarterbacks who departed via free agency. Case Keenum. Great guy, but was it him or the system? Could be a one-season wonder. Maybe not, but I’d rather have the guy who is coming off three consecutive 4,000 yard seasons. Sam Bradford. Love the arm, but the dude can’t stay healthy. Teddy Bridgewater. He looked like the future star of the organization until the devastating knee injury. Do we really know if he can successfully make it back? For a team that is Super Bowl-caliber, the Vikings couldn’t take the chance. Bridgewater could blossom for the Jets and provide them with the QB they’ve been lacking. From a character standpoint, you’d be hard-pressed to find many better than Bridgewater. I think the Jets made the right move to sign him. I really hope that he realizes the greatness that seemed destined for him in Minnesota. There’s no doubt he has championship-quality drive and determination. 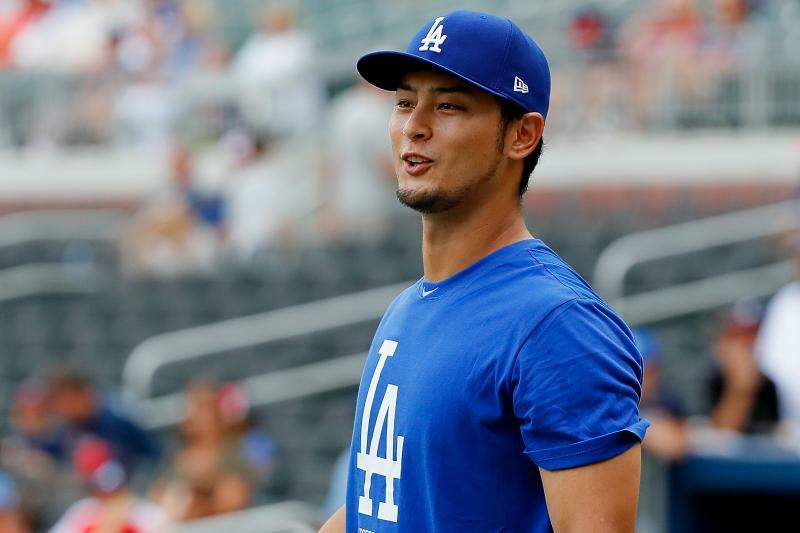 Now that we don’t have Gerrit Cole rumors to fuel our days, it looks like we’ll be hearing more and more about Yu Darvish until he finally signs somewhere. John Harper of The New York Daily News floated a trade possibility this morning. In his scenario, the Yankees would send Jacoby Ellsbury and Clint Frazier to the San Francisco Giants for second baseman Joe Panik. By including Frazier, Harper figures the Yankees could get the Giants to pay $12-$13 million annually of what’s left on Ellsbury’s contract. In his line of thinking, the trade would open the pathway for the Yankees to sign Darvish so he basically views it as an Ellsbury/Frazier swap for Darvish/Panik. I am not sure that I’m crazy about the trade idea but if the Yankees were willing to send Frazier to Pittsburgh for Cole, they’d be willing to move him to bring in Yu Darvish. If the Yankees carried a fifth outfielder on the roster to start the year (assuming Ellsbury and Frazier are dealt), it would most likely be Tyler Austin, who could back up first and the corner outfield spots, or Billy McKinney, an outfielder who did work at first base during the Arizona Fall League. Panik’s presence would allow the Yankees to take their time with Gleyber Torres or move him to third base as once planned. 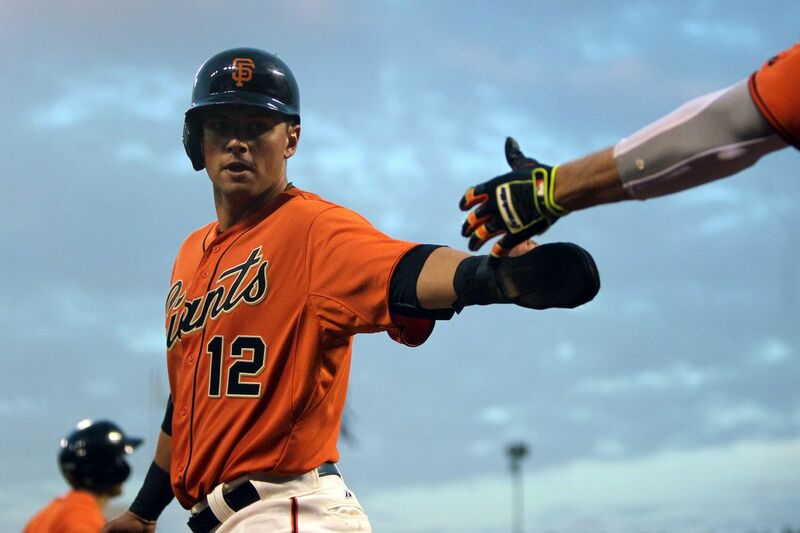 A native New Yorker, Panik, 27, hit .288 with 10 home runs and 53 RBIs for the Giants in 2017. He was eligible for arbitration for the first time this year and settled with the Giants last week for $3.45 million. He can be a free agent in 2021. His lefty bat would play well in Yankee Stadium. No one is going to take Ellsbury in a straight one-for-one swap, even with boatloads of cash included. So as much as I’d hate to lose Frazier, this is probably a trade that I’d make so long as I knew that I could sign either Darvish or Alex Cobb for the starting rotation. In an unrelated rumor, Jim Bowden is saying that the Milwaukee Brewers are interested in signing third baseman Mike Moustakas if they could trade Travis Shaw to the Braves, Mets or Yankees. I’m never too excited about adding an ex-Red Sock, but Shaw had a breakout year for the Brewers in 2017 with 31 home runs and 101 RBIs. He batted .273/.349/.513. He is a left-handed bat and will turn 28 in mid-April. Not sure what level of interest the Yankees might have, but it bears watching. It would certainly cause much angst in the Red Sox Nation. According to The Japan Times, former Yankee (and Yomiuri Giant) Hideki Matsui has been elected to the Japanese Hall of Fame. At 43 years and 7 months, Matsui is the youngest entrant to the Japanese HOF, eclipsing former Dodgers/Mets pitcher Hideo Nomo, who was 45 years and 4 months at the time of his election. Before heading to the United States to join the Yankees, Matsui won three Central League home run titles (1998, 2000, and 2002) and he was MVP of the CL in 1996, 2000, and 2002. This was Matsui’s first year on the Japanese ballot and he garnered 91.3% of the vote. 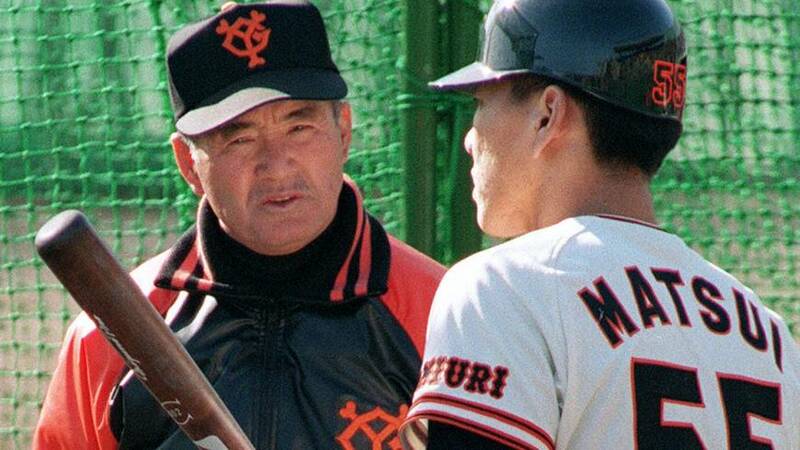 He was joined by former Hanshin Tigers star Tomoaki Kanemoto and former Yomiuri Giants manager Tatsunori Hara. Hideki’s father, Masao, attended the announcement ceremony on his behalf. Hideki is in New York and was unable to attend. Congratulations to the great #55 for the well-deserved honor! As a lifelong Minnesota Vikings fan, I’ve endured my share of disappointment over the years. The Vikings have found more unique ways to lose big games than any NFL team that I can think of. Well, outside of the Buffalo Bills. Yesterday’s NFC Playoff game against the New Orleans Saints was a game of atonement for me. The Vikings jumped out to a 17-0 lead in the first half and I was getting congratulations from a number of friends. As a Vikings fan, I knew it was way too early to start getting excited. Plus, Drew Brees is still one of the game’s great quarterbacks. Sure enough, a couple of plays in the second half shifted the momentum to the Saints. The Vikings lost the lead and then re-captured it with less than 2 minutes to go. I was fearful that the Vikings had left too much time on the clock for Brees and Company and unfortunately I was right. Brees led the Saints to a field goal to re-capture the lead at 24-23 with 25 seconds left. Starting on their own 25 after a touchback on the kickoff, the Vikings moved to their 39 and faced a third down with 10 seconds left and no time outs. 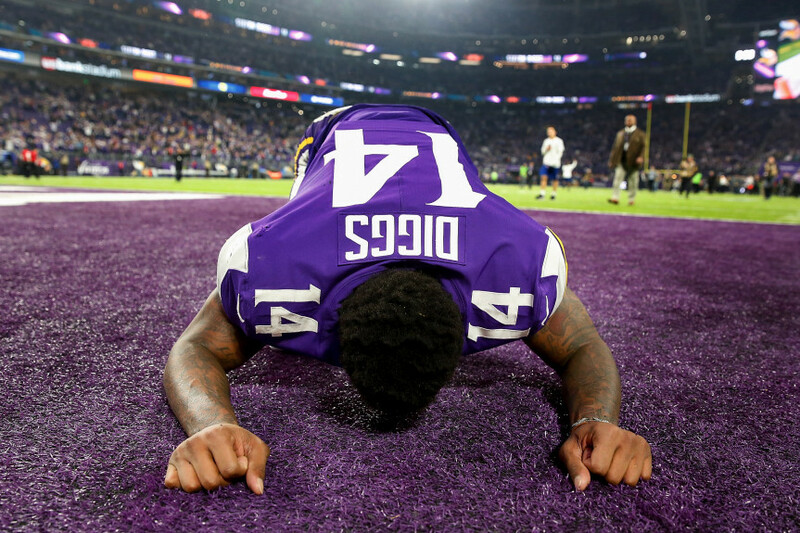 I was resigned to the agony of defeat when Vikings QB Case Keenum hit WR Stefon Diggs for a 61-yard touchdown to win the game. The Vikings won the game, 29-24. It was such an incredible feeling…something like Aaron Judge hitting a game-winning home run in the bottom of the 9th. I am not sure what will happen next week in Philadelphia as the Vikings take on the Eagles for the NFC Championship but I am enjoying the ride. The Eagles are the only thing that stands between the Vikings and playing this year’s Super Bowl at US Bank Stadium in downtown Minneapolis, Minnesota. So regardless of whether they win or lose, the Vikings are going home. I just hope it is with a game still be played. Thank you, Dr King, for making a difference. We are a better country because of you and would have been even greater if you hadn’t been taken from us prematurely. We are forever grateful for you and your efforts to make this a better World for all of us. The trade rumor that wouldn’t go away…did. The Pittsburgh Pirates finally traded their so-called ace to the Houston Astros for a package that included reliever Joe Musgrove (a speculated middle-of-the-rotation starter type), third baseman Colin Moran, reliever Michael Feliz, and minor league outfielder Jason Martin. Moran, former Major Leaguer B.J. Surhoff’s nephew, was the Astros’ seventh-rated prospect according to MLB.com. If the Yankees did, in fact, offer Clint Frazier, Chance Adams, and Miguel Andujar to the Pirates, Pittsburgh GM Neal Huntington didn’t stop until he could find a much worse package for Steel Town. In reality, the trade shows that GM Brian Cashman never offered the much talked about packages for Cole. It’s been said that he may have only offered Clint Frazier OR Chance Adams. 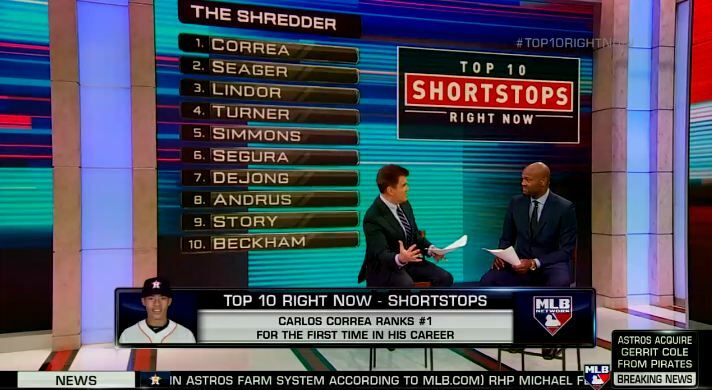 The Yankees were clearly not as high on Cole as the Astros were. I’m glad the page can finally be turned. I am in favor of adding a starting pitcher only if it upgrades the current starting rotation. After completion of the one-year contracts for all the arbitration-eligible players, the Yankees have approximately $22 million left before they hit the luxury tax threshold (which is, of course, a hard “salary cap” in the Hal Steinbrenner Universe) of $197 million. The Yankees will not use all of that money so to say that they have $22 million left to spend is a bit of a misnomer. They need to set aside $2 million in case CC Sabathia hits his bonus milestones and there’s no way that Team Hal will bring payroll (AAV) tightly against the threshold. He’ll want a buffer and of course there needs to be enough room to play at the trading deadline. Only the Yankees truly know how much money they have left to spend. 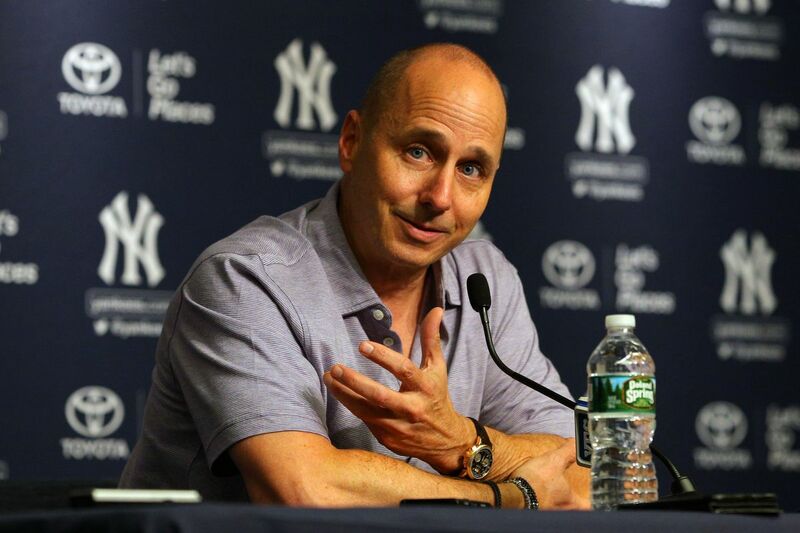 If the Yankees did sign a free agent pitcher like Yu Darvish or Alex Cobb, it is a certainty that the contract of Brett Gardner or David Robertson would be moved to make room. With the money the Yankees would have to include with Jacoby Ellsbury if they could entice him to waive his no-trade clause, I don’t think moving him would provide enough salary space for a big ticket purchase. They’d have to find a team willing to take at least half of his current salary and honestly I don’t think that team exists. Chris Archer, we’re coming for you. With Cole out of the picture, the pitcher most likely to draw top speculation as the guy targeted for the Yankees, it is the talented 29-year-old righthander of the Tampa Bay Rays. Of course, it’s possible that we could start hearing Michael Fulmer’s name again but both men continue to carry high price tags. If he doesn’t get a viable role for the 2018 Yankees (i.e., trade of Gardner or Ellsbury to make way), Frazier would look very good in Detroit’s outfield. Even despite the current stagnant free agent market, I don’t think either Mike Moustakas or Todd Frazier will accept a one-year “pillow” contract regardless of what happens between now and training camp. I like the left-handed bat of Moustakas but I think he’ll eventually end up with the St Louis Cardinals. 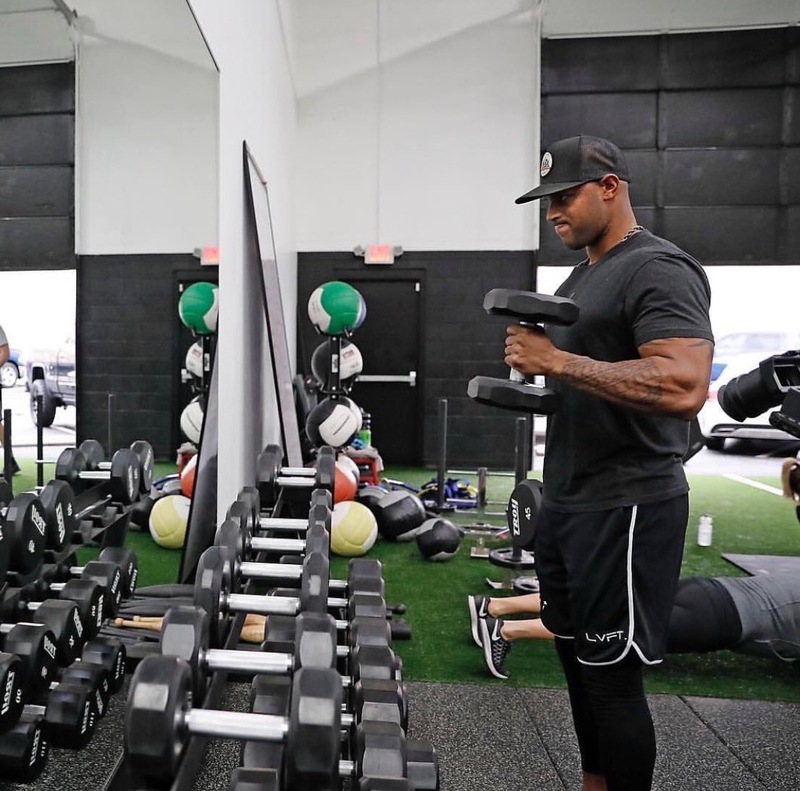 At this point, there is not really much left to do for the Yankees except make preparations to to start training camp in a month. Now that long-time coach Rob Thomson (annual organizer of training camp) is in Philadelphia, third base coach Phil Nevin and others will have to step up and deliver for new manager Aaron Boone. I am looking forward to the results of their preparation and organization as they host the members and challengers for the 2018 New York Yankees. Tim Beckham over Didi is a joke. Trevor Story was struggling to hold his job last season and it’s only a matter of time until Rockies top prospect Brendan Rodgers pushes him out of the way. That’s fine. Pitch to Didi like you think he’s an afterthought in the Yankees lineup and let’s see what happens. Tyler Austin proposed to his long-time girlfriend, Stephanie Dana, over the weekend and she said yes. Hopefully this is a sign that 2018 is shaping up to be a fantastic year for the young Yankees first baseman/outfielder. Congrats to Tyler and Stephanie! 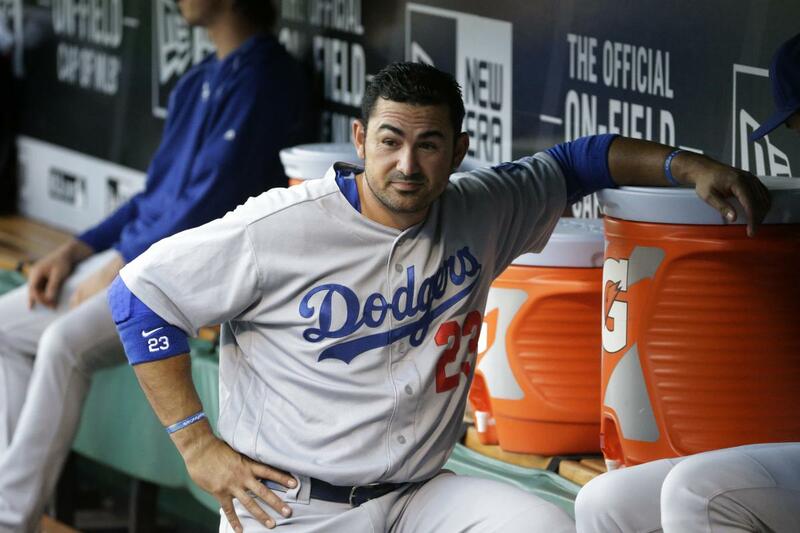 The Mets are really going to sign free agent first baseman Adrian Gonzalez? 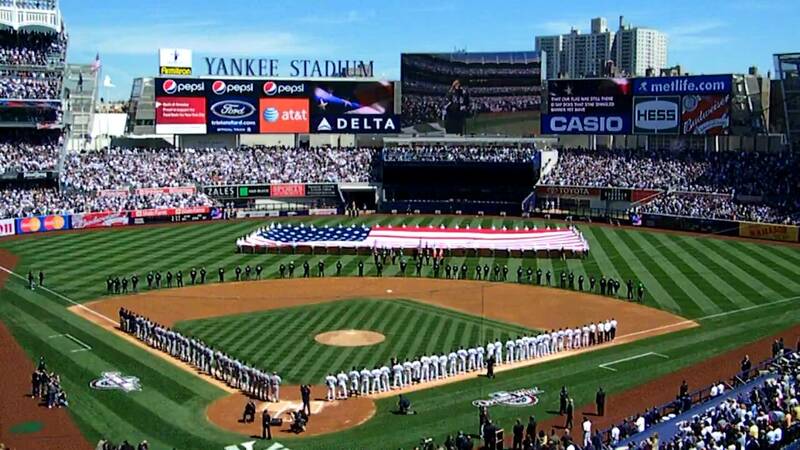 It makes me appreciate every day that I am a Yankees fan. Nothing like pushing a young, promising first baseman (Dominic Smith) out of the way for an aged ‘has-been’. Jon Heyman’s argument is that A-Gon only costs the minimum and there are questions about Smith’s conditioning. Viable arguments but I am glad that A-Gon is on their team and not mine. Life as a Minnesota Vikings fan has not been as rewarding as life as a Yankees fan, but the best Vikings team in years takes the field today against the New Orleans Saints in the NFC playoffs. The winner moves on to the NFC Championship to play the Eagles in Philadelphia. I am hopeful and optimistic that the Vikings will be the ones traveling to the City of Brotherly Love. 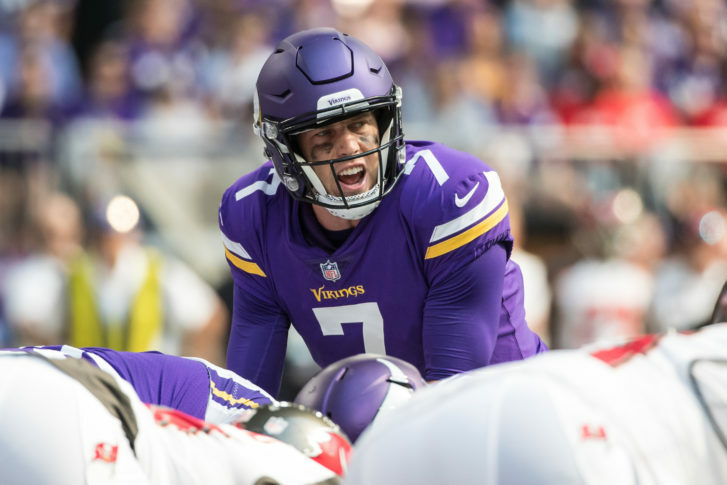 The Vikings will feature three active QB’s behind starter Case Keenum. Sam Bradford, who missed the majority of the season with a knee injury, was activated for today’s game. He’ll be joined by fellow QB’s Teddy Bridgewater and Kyle Sloter. With Keenum, Bradford, and Bridgewater all potential free agents after the season, I was very glad to see the Vikings waive backup TE Kyle Carter rather than Sloter to free up a spot for Bradford. Bradford was the starting QB in the season opener when the Vikings beat the Saints. My hope is that all three backups need to do no more than hold clipboards while Keenum continues his season of rejuvenation. And as always, Go Yankees! Watch out, the Yankees have the runs! Seriously, it was great to finally have a breather. 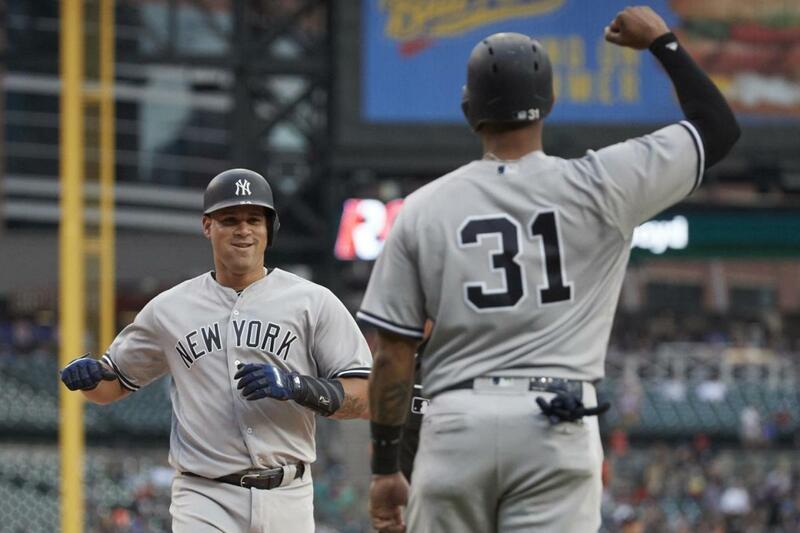 The tone was set early when Gary Sanchez blasted the second longest home run this year (493 feet) as the Yankees throttled the Tigers. Aaron Hicks got the party started in the first inning with a one-out single, a grounder up the middle. Enter El Gary. Boom! He blasted a moon shot that flew over all rows in the left field stands and bounced off the back wall just under the LED board that shows pitch count. 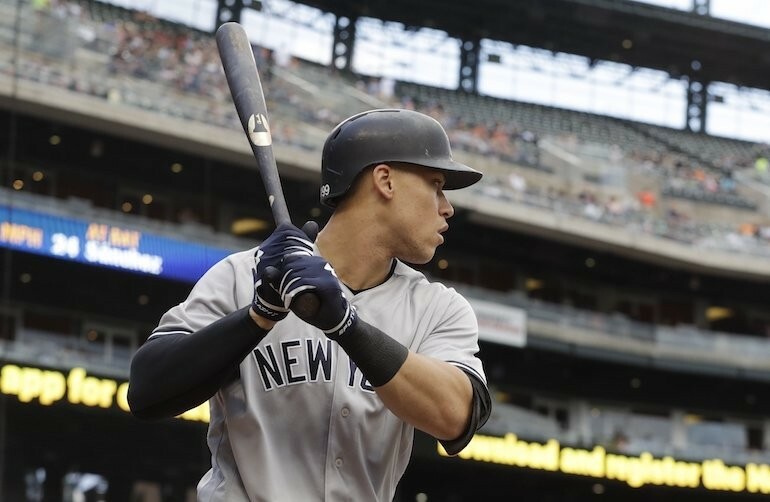 The home run was two feet short of the home run Aaron Judge hit on June 11th against the Baltimore Orioles. Aaron Judge, moved down in the order to clean-up, worked a walk off Tigers pitcher Matthew Boyd. Didi Gregorius, the road warrior (has hit in 16 of his last 19 road games), lined a double to right-center. Judge advanced to third. The Yankees picked up their final run of the inning when Tyler Austin lofted a sacrifice fly to center which scored Judge. 3-0, Yankees. With Masahiro Tanaka cruising, the Yankees picked up more runs in the third. Aaron Judge led off with another walk. Didi Gregorius hit an infield bouncer toward third that glanced off the leg of the pitcher, Matthew Boyd, as he attempted to field the ball. Didi was awarded a hit. Tyler Austin lined a solid fly that dropped in left, scoring Judge. Didi moved to second. After Chase Headley lined out to center, Todd Frazier ripped the ball down the line to the right field corner. Both Judge and Gregorius scored. The Toddfather safely slid into third ahead of the outfield relay. The Tigers pulled Boyd and brought in reliever Warwick Saupold. Ronald Torreyes, the little man always coming up big, lined a sacrifice fly to right, and Frazier slid into home under the throw from the outfield. The Yankees led, 7-0. The Tigers finally got on the board in the bottom of the 3rd. James McCann led off with a liner to center to reach first. Two outs later, Ian Kinsler hit a long fly that bounced off the warning track in center for a double. McCann scored on the play. The Yankees loaded the bases in the 4th with a single (Gary Sanchez) and two walks (Aaron Judge and Tyler Austin) but couldn’t score. With Warwick Saupold still on the mound, they broke through with more runs in the 5th. Todd Frazier lined a single to left. Ronald Torreyes chopped a hit through the left side for single. Brett Gardner hit into a fielder’s choice to first baseman Miguel Cabrera, Cabrera off first, threw to second to erase Toe. Gardy was too fast for the Tigers to get the ball back to first. Runners at the corners. Aaron Hicks hit an infield grounder toward first that Miguel Cabrera couldn’t field cleanly. It was ruled a fielder’s choice with Hicks safely reaching base. Frazier scored on the play while Gardy took second. After Gary Sanchez struck out, Aaron Judge ripped the ball to left to score Gardy. The Yankees had increased their lead to 9-1. It was the end of the day for Saupold. I was sorry to see him go. The Tigers brought in Drew VerHagen and he got the Tigers out of the inning by inducing Didi Gregorius to ground out to second. The 7th inning brought more runs for both sides. I am sure that Sonny Gray was feeling slightly envious of the run support Masahiro Tanaka was getting. Brett Gardner led off the 7th with a triple, a long fly to right that Alex Presley couldn’t catch up to. 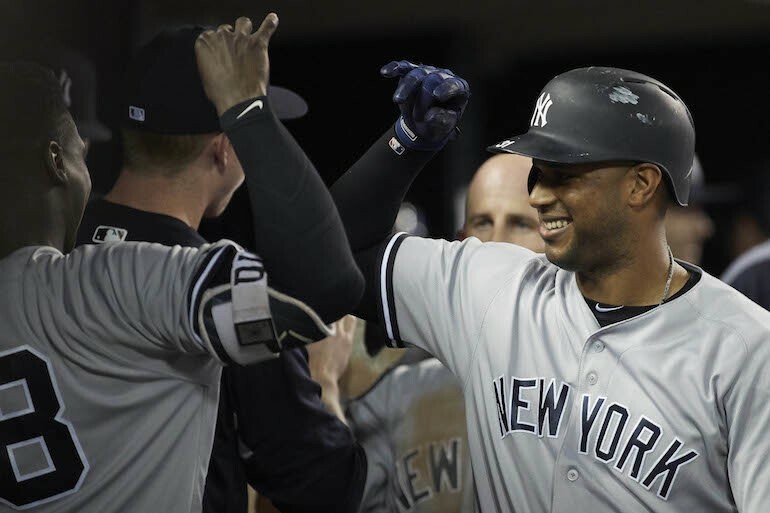 Aaron Hicks followed with a shot into the right center field stands and the Yankees had added to their lead, 11-1. In the bottom of the inning, the Tigers finally broke through against Tanaka again. John Hicks, pinch-hitting for Miguel Cabrera, doubled to left. Nicholas Castanellos homered to right, just a few rows up in the stands and it was 11-3. Following a coaching visit to the mound by pitching coach Larry Rothschild, Andrew Romine hit a ball down the left field line similar to the ball that John Hicks had hit, but Gardy’s throw to second was ahead of the runner for the out. A ground out by James McCann ended the inning and the game for Masahiro Tanaka. Chasen Shreve replaced Tanaka in the 8th. 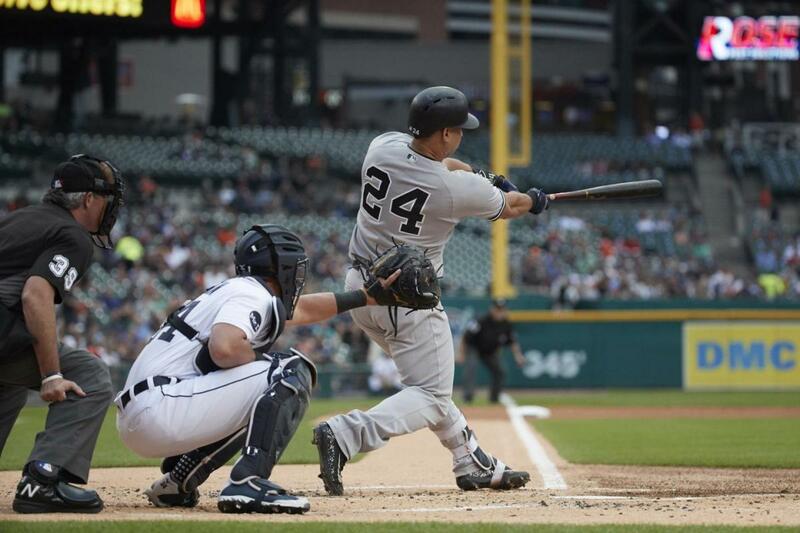 He retired the Tigers despite a double by Jose Iglesias to push the game to the 9th. With Tigers reliever Jeff Ferrell pitching, Tyler Wade, pinch-hitting for Ronald Torreyes, reached on an infield single to short thanks to his speed out of the box. Following line outs by Brett Gardner and Aaron Hicks, Gary Sanchez hit his second home run, a blast to right. It was 13-3 Yankees. The homer was El Gary’s 25th of the year. 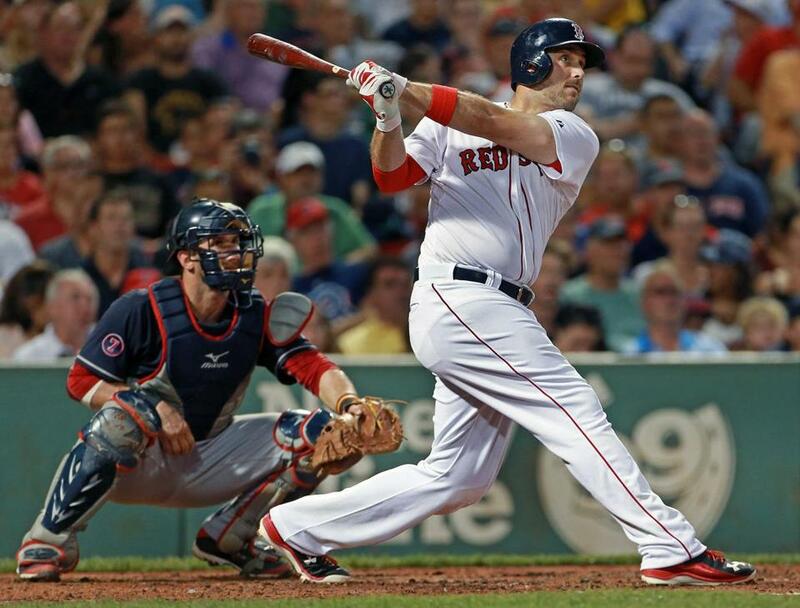 He is only 5 homers of the team record shared by Jorge Posada and Yogi Berra (twice). All this from a man who missed a month of the season. I think he likes the third hole in the lineup. Shreve finished up the 9th to protect the bullpen. There was a bit of comedy with Nicholas Castanellos at bat (easy to say when the Yankees are holding a 10-run lead). Castanellos hit a fly to center. Jacoby Ellsbury tried to catch the ball on a slide but the ball got past him and rolled to the wall. Brett Gardner retrieved it and threw to the cut-off man, Tyler Wade, who threw home too late to get Castanellos. Inside-the-park home run and the second HR of the night for Castanellos. Andrew Romine followed with a high fly ball that took Brett Gardner to the wall but Gardy made the catch to end the game. The Yankees win! The Yankees (67-57), who picked up a 1/2 game during Monday’s day off thanks to a Red Sox loss, couldn’t make up any ground on Tuesday as Boston pounded the Cleveland Indians, 9-1. It was an interesting game for the Red Sox as starter Doug Fister gave up a lead off home run to Francisco Lindor and then held the Indians hitless for the duration of the game. Not bad for a bargain basement pickup. The Yankees trail the Sox by 4 games. The battle for third place in the AL East continues to swing back and forth between the Tampa Bay Rays and the Baltimore Orioles. The Rays beat the Toronto Blue Jays, 6-5, to move back into third. They are 6 1/2 games behind the Yankees. The O’s fell to the Oakland A’s, 6-4. They are 7 games back of the Yankees. No change in the Wild Card standings as the Yankees continue to lead the Minnesota Twins by 2 1/2 games. I had no problem with Manager Joe Girardi’s decision to pinch-hit for Aaron Judge in the 7th inning. Judge had four at-bats. He walked three times and had the RBI single. He also scored two times. It was a productive day for him and it was time for the MLB-record for strikeouts in consecutive games to end at 37. Girardi denied pulling Judge to end the streak but regardless of whether or not he did, I thought it was the right thing to do. The two-run home run masked an otherwise tremendous start by Masahiro Tanaka (9-10). This is the pitcher the Yankees need down the stretch. His final line was 7.0 IP, 6 H, 3 R, 0 BB, 4 SO which qualified as a quality start but it was better than that. Nice job, Masa! It was a very productive night for Gary Sanchez, including the two home runs, and Aaron Hicks, with his dinger. They had 4 and 3 RBI’s, respectively. Every Yankees starter reached base by either hit or walk. We needed this. Hopefully the Yankees will continue to hit and drive in runs during this road trip. Have a great Wednesday! The Yankees can take the series today with a win. Go Luis Severino and Go Yankees!